Shaped like an "igloo," the C.O.O.L. Zone is an early intervention behavioral health evaluation program for kids ages 3 through 11. The Children Overcoming Obstacles and Limits (C.O.O.L.) 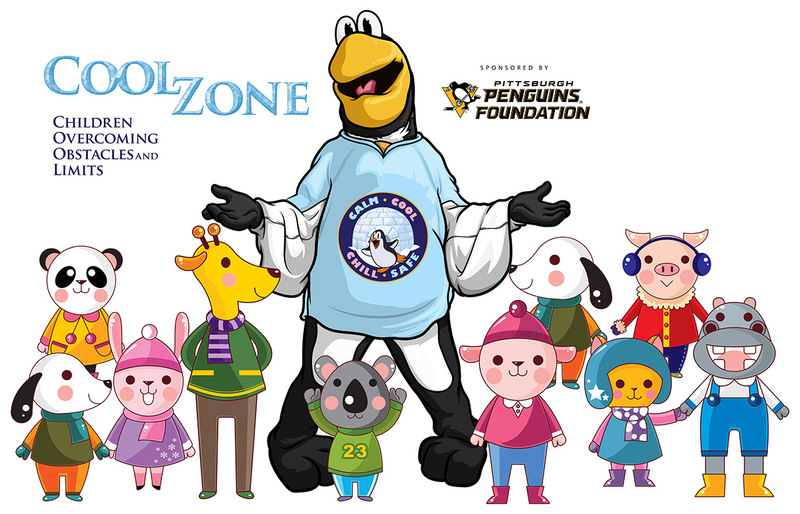 Zone was developed, with the support of the Penguins Foundation, by the Matilda Theiss Early Childhood Behavioral Health Program at the Western Psychiatric Institute and Clinic of UPMC. 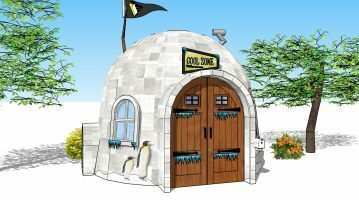 Shaped like an “igloo” to provide a safe space for children, the C.O.O.L. Zone is a behavioral health program for young children who exhibit symptoms of or who currently have behavioral health diagnosis. This program increases accessibility to high quality mental health services by partnering with existing schools and child-oriented settings within Allegheny County. Within these child friendly settings, the Penguins C.O.O.L. Zone serves children experiencing a range of behavioral and emotional disruptions such as: aggression, anxiety, depression, withdrawal, family disruption, emotional difficulties, traumatic responses, and more. It is through play that children’s behaviors are learned and tested. It is also through play that children’s emotions and stressors are communicated. The C.O.O.L. Zone allows for therapy to feel safe for children and allows them to communicate in a way they understand – through play. Therapists provide child-focused, individualized, encouraging and specialized play therapy to help support a child’s most pressing concerns and needs. The C.O.O.L. Zone utilizes interventions that are natural for children to comfortably make progress in their therapy. First piloted at Edgewood Primary in the Woodland Hills School District in 2015, the C.O.O.L. Zone program has been implemented in three additional schools, as well as one community-based location. The current locations are: Edgewood Primary School, Wilkins Primary School, Twin Rivers Primary and Intermediate School, Penn Hills Elementary School and Hosanna House. The C.O.O.L. 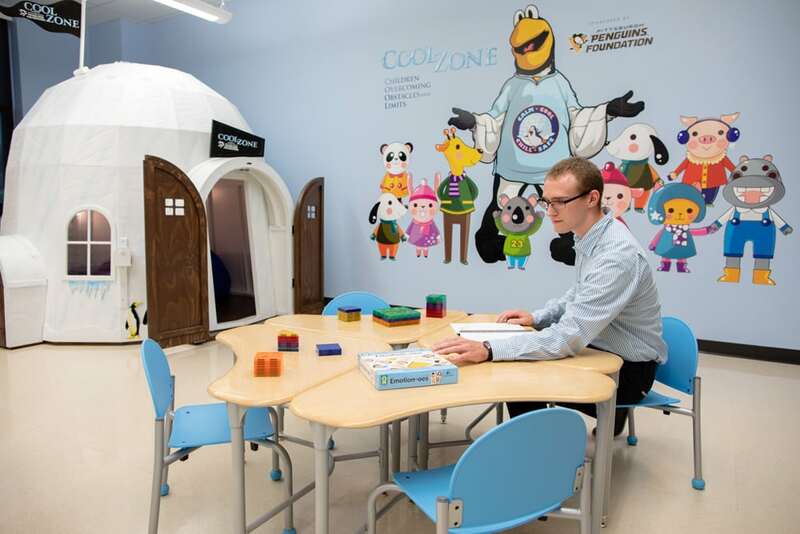 Zone includes not only the igloo, but also a child-friendly classroom space with colorful wall art and toys to help children communicate in therapy in a safe and age-appropriate way. Each program room is equipped with the latest activities and centers that support each child’s mental health needs. 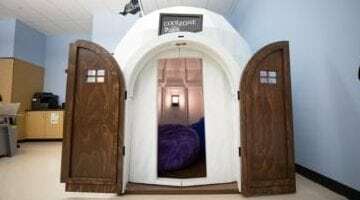 These include: sensory items, calming areas, group activity corners, social-emotional games and projects as well as private areas for individual therapy and support. The therapeutic programs offered through the C.O.O.L. Zone are tailored in order to meet the special needs of each individual child. The ultimate goal is to make sure that children and their families have the foundation to grow and heal. After successfully participating in the program, children have less behavioral concerns, more positive behavior, reduced symptoms of trauma and stress, and improved and strengthened relationships between the children and their families, caregivers, and other children. Matilda Theiss Early Childhood Behavioral Health is the cornerstone of early childhood mental health services at the Western Psychiatric Institute and Clinic of UPMC and offers a variety of vital programs to promote the health and well-being of pediatric clients and their families. We could not continue to do the work we do without your support.